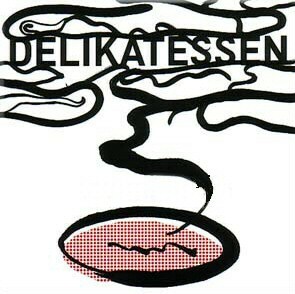 Delicatessen is the kind of food that is tasty and unusual. Prepared in a tasty and unusual manner and, most importantly, utilized in a tasty and unusual manner. Another way to define delicatessen is something that cannot be eaten on a daily basis. Otherwise they will stop being such and will become commonplace. Delicatessen are, in essence, a holiday in themselves. They should not be consumed every day, but only occasionally, when it is necessary to free oneself from the routine and to soar above it. In other words, delicatessen are means to improve the quality of life. Or, to put it differently, a means to penetrate into a changed form of reality. All of this applies to all sorts of delicatessen. You have in front of you an assortment of musical delicatessen, well-prepared, moderately tempered and thoroughly preserved. Of course, live music has its own ineffable charm, but you did come to the store for preserved, canned produce, didn't you? And presently you are holding in your hands an opened box with the most tasty types of delicatessen. I understand that you are impatient to savour them, even though the foretaste of pleasure could be at times as sweet as the pleasure. Be my guest - try them out now. Bon apetit.